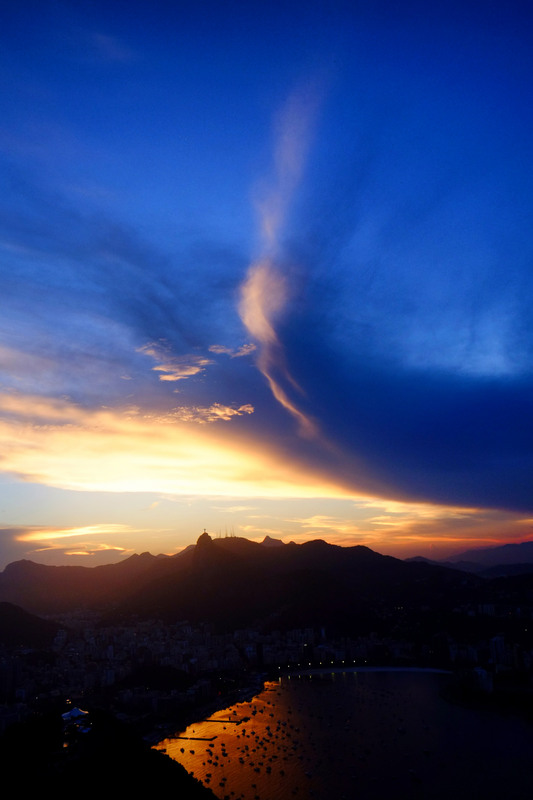 Directions: To get to Pao de Acucar in Rio de Janeiro, Brazil you must get to Avenida Pasteur 520. The best way to get there, unfortunately is taxi. I did not public transportation as everyone strongly discouraged me to do so. At Avenida Pasteur it is really straightforward to go up the hill as there is a cable car. Cable car takes you to the first hill and subsequently to the second one which is Pao de Acucar. 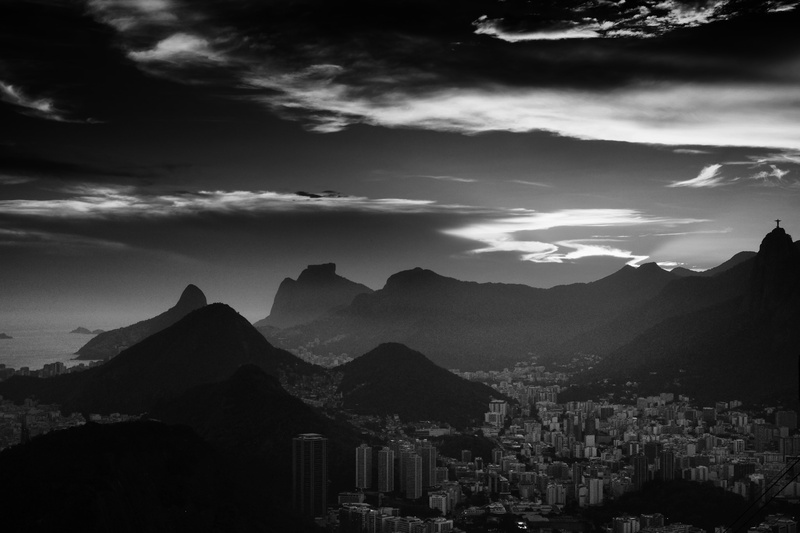 Pao de Acucar is a perfect spot to take (or make as Ansel Adams used to say) photos of Jesus the Redeemer. Sun sets exactly behind the Jesus monument and the view is particularly picturesque. To take close photos of the Jesus monument one should use at least 300mm focal lenght lens on APS-C sensor. I was using only wide angle lens there to encompass great localization of Rio de Janeiro. Tripods are allowed and recommened. From Pao de Acucar you have a truly beautiful view at entire Rio de Janeiro. You can see all the bays, marinas, city, Atlantic Ocean and famous favella Santa Marta.